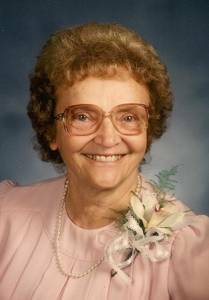 Frances Ahern, passed away January 3, 2017 at the age of 101. Preceded in death by her beloved husband Leland and dear children, Thomas, Carole and Michael. Beloved mother of Charles (Marge) Ahern, Charlene (Frank) Taraskiewicz, and Hermina (wife of Thomas) Ahern. Cherished grandmother of Frances (Rande Horn) Ahern, Ellen (Marc Stahl) Ahern, Jennifer (Eric) Lammers, Susan Stefanski, Carol Taraskiewicz, Patricia (Michael) Schum, Mary (Edward) Kwilos, Jean (Julio Romero) Taraskiewicz, Cynthia Taraskiewicz, Amy (Timothy) Smith, Christine (Mark) Marczewski, Jeff (Karen) Finger, Chris Finger, Debbie Snyder and Peggy (Marc) Greuther. Dearest great grandmother of 22.